This enterprise-oriented platform is extremely feature-rich with advanced functionality that is not found in other platforms. This tool is backed by over 10 years of company experience, and the newest iteration has received a visual overhaul! This was highly requested from Atlassian, as JIRA’s feature set is already plush. 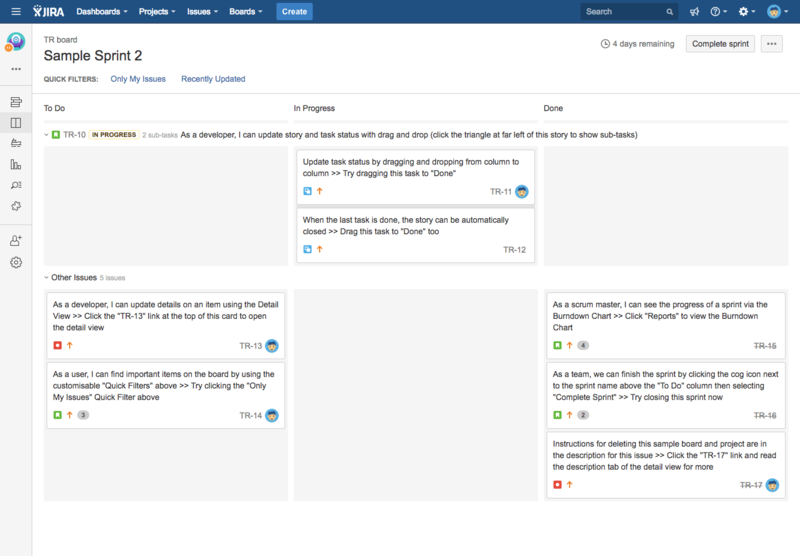 JIRA offers Agile, Scrum, and Kanban boards to manage your projects and tasks. Most users agree that the features of this tool are complicated at first but offer very powerful implications. Extensions and plugins can make this tool do ANYthing, and Atlassian offers a marketplace just for this with over 1,000 add-ons. When you first sign into JIRA you will be prompted with three options – create a sample project, create a new project, or import issues. We suggest loading a sample project to see what a full set of data will look like to give yourself a headstart. The overall layout is very basic. Immediately you will notice that this tool was created for advanced users and offers some exceptional features. 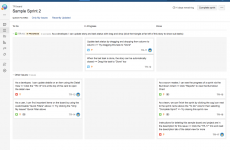 Once acclimated to JIRA you will find that there are limitless opportunities to create beautiful tasks for your team. 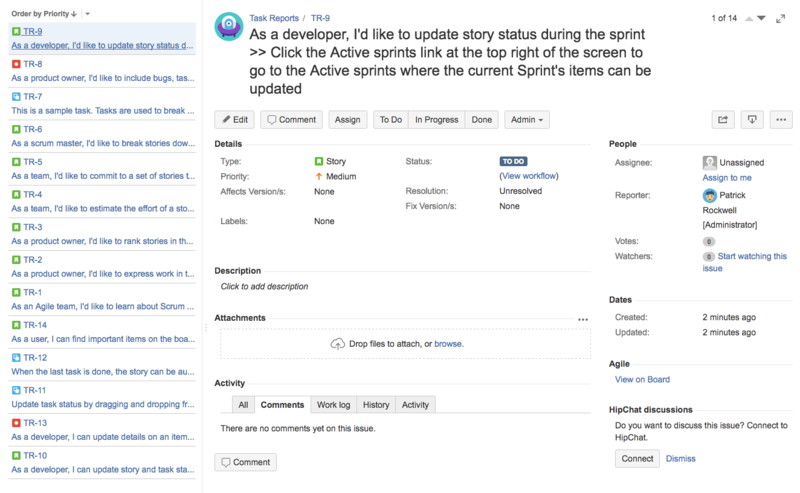 We love that JIRA integrates with GitHub to link your tasks with commits. 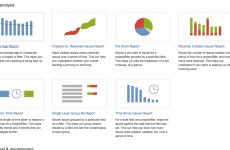 Custom analytic reports are another great advanced feature that we have not seen elsewhere. The powerful project searches allow you to assign any filters and help find exacly what you need. Project templates allow users to quickly start new tasks with a customized setup. This tool is also backed by an enterprise-grade safe, secure, reliable, and speedy backend. A very plain interface defines the workspace. This is our biggest complaint with the software. Because your employees (and yourself) will be spending so much time with the tool, it ought to look pretty – or at least be intuitive. We are also not very fond of the cluttered features that require time to master. A more instinctual layout would increase the value of this product ten-fold, though, Atlassian provides plenty of documentation for your team to read and learn. They also provide a wiki add-on called Confluence where you can store all task documentation. 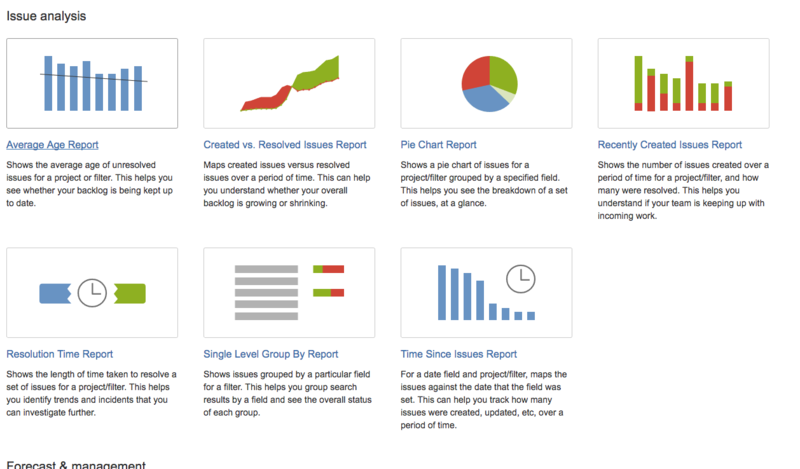 JIRA feels like an enterprise tool brought to the masses. For this reason, we were very surprised to see that the tool has comparable pricing tiers. All pricing options include the same features and increments in price only based on the number of seats you need. You are able to host JIRA on your own server or store your data to their cloud for an additional annual fee. The safety, security, and reliability of this tool are unmatched, and vast improvements to both design and ease of use in recent times is a plus. Pricing is very pleasing to large and small teams alike. English, French, Japanese, Spanish, and German. Plugins are available for many other languages. 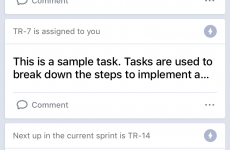 Easy to assign large projects, various tasks as a team, and see progress. Has helped our engineers track where they were spending their time. 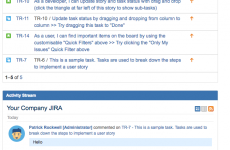 JIRA can be time consuming and it would be nice if there were simple tasks. This could be a strong tool, but the design and complexity hold it back from being great. Also the price is pretty outrageous. You can pay for two other tools for the price of JIRA. Also, there is a very low chance most of your team adopts well due to how complicated it is. 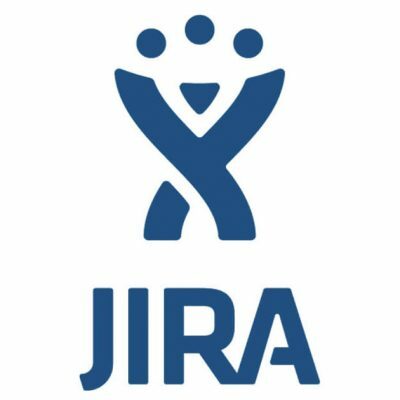 Jira is ahead of many other companies in this space due to their extensive workflows. They can be complicated but are impressive when you figure them out. I just want them to work on the look and feel and drop the price. If they can do those two things Jira will be in good shape. + PROS: Workflows are a plus, not many others have them. 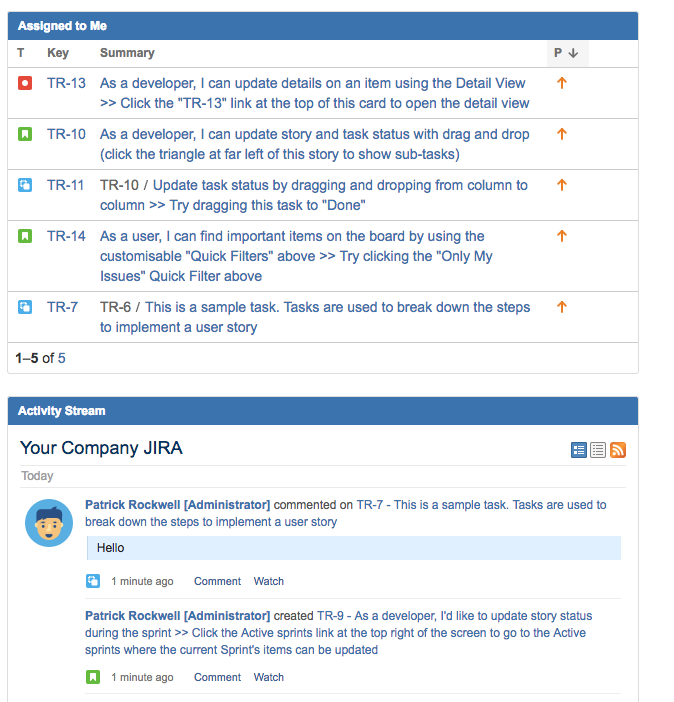 Jira created the product with tech companies in mind for sure. - CONS: Not great to look at and could be easier to use. Pretty expensive if you have a big team like I do. Even after months of using JIRA it is way to bogged down and cluttered with unnecessary features and options. Great tool for tracking projects. + PROS: JIRA has made several improvements in the latest release that have made me enjoy it a little more. - CONS: Sometimes can be intimidating for a non technical user. Atlassian products are always solid in our book, we recently heard news of them acquiring trello so high hopes of them getting better than ever in the near future! JIRA is “advanced project management” but I just don’t see the appeal even if you are an “advanced” user. There are just too many other good options out there which are much more simple and effective. Great way to stay organized and collaborate with your team. Unfortunately, it took a long time for a few team members to get acclimated. - CONS: Pricey, steep learning curve, no way to assign more than one person to a task. It is a great project management tool which can be used by all the teams especially for the teams which follow agile methodology. Unfortunately, a lot of people in my company find JIRA too difficult to understand. Also, if a user starts a task or issue they cannot be removed from the issue and are notified on every update until it is closed. At larger companies this may be helpful but at smaller ones like mine it can be more bothersome than helpful. + PROS: I really like the dashboard that allows me to easily see tasks that need attention and overall project list. Also, I like that this software has features that make organizing tasks related to a single project very simple. - CONS: I sometimes find that comments on individual tasks get lost in my comment feed causing me to have to go through my notification and make sure I didn't miss anything. 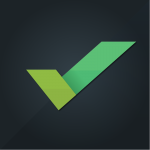 Our developers love this tool for managing their tasks and projects. Unfortunately, I’m not a big fan of the software. The UI is terrible and while they offer a lot of features that are beneficial to us, it can sometimes be annoying as it takes forever to learn how to use everything thats available. We’ve had this software for a couple months now and I’m still learning my way around the tool. 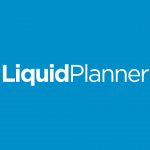 + PROS: Agile methods of working, lots of add ins to provide extra functionality, great for project tracking and pulling stats for business, ticket system. - CONS: Pricey. Not very easy to learn. They offer many tutorials but it is very time consuming to go through all of their on line university. A lot more functionality than other software dev tools on the market! 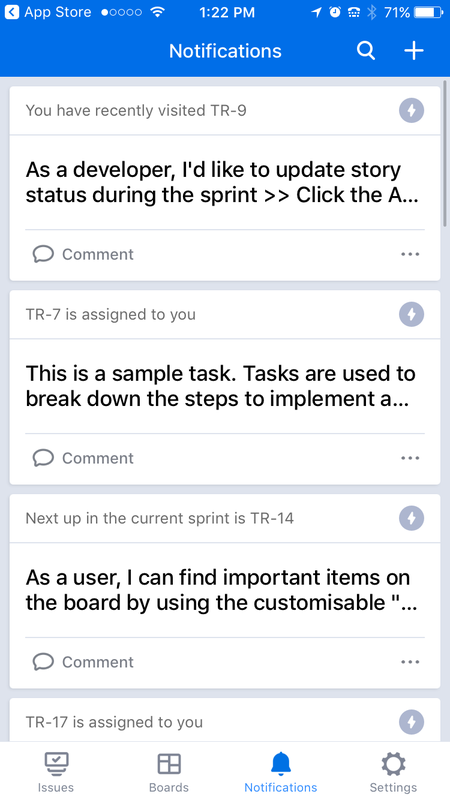 It is an innately complicated tool so Jira does take a bit of onboarding to help familiarize new users. However, once you get started, it is really easy to use! + PROS: Keeps everyone on our dev team accountable. Great to connect the product manager, UI/UX designer, dev team, myself, etc. all on the same page! - CONS: It takes a lot of set up to get it working the way you need it to. Very thankful for our JIRA administrator. He has it set up in a way that is easy to follow and works for our team. + PROS: Geekishly customizable, easy to link items and easy for classified project management. Allows you to virtually do anything. The advanced search is also very good. Great dashboarding and integratability with other products. Aligns really well with Agile projects. Not the most intuitive tool out there… but definitely has everything we need for complex projects! Keeps me updated with my current and future tasks! + PROS: The updating mechanism is very easy and responsive, it makes me understand exactly my current status including other aspects such as time off, vacations and more. - CONS: The functionality is sometimes hard and makes things difficult. moving from sprint to sprint makes life much harder. I am using it to manage my projects, We find everything at one organized place, Thats the biggest benefit. Development initiatives get done in 2 week sprints. Very nice that things get done in a timely manner since everyone is on the same page. + PROS: Like the way you can see who is doing what and what is going on. Also helps folks outside the process view what and where a project they are interested in is. - CONS: Have to do a generic overview of what's going on as licenses are expensive. Would recommend that they offer a "just looking" license for folks who don't really use it but want to see what's going on. Great for working with offshore teams in different time zones. + PROS: Transparency to all team members and their ability to update the project at any time, any where. - CONS: Search can be improved when looking for related or similar terms, especially when you don't remember the exact title or subject of the ticket you are searching for. Decent PM software! Multiple project boards, multiple categories of tickets. 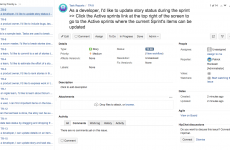 Sprints can be easily managed by admins and users. Not easy to use, especially since they rolled out new interface, which has some glitches, should have tested more. Powerful tool with lots of options to connect it to other services. Provides a full product suite. Easy to include several projects in one instance. Not as easy to use as waffle and git. Could use some improvements on the user flows and UI. I had quite a few access issues due to the company using several Jiras. + PROS: JIRA has a great goal in mind and it is great for managing large software development projects with big teams. It's the "grown-up" version of Trello. - CONS: JIRA recently changed their UI. The update is an improvement, however they rolled out the update without updating their online documentation. This makes it very difficult to find exactly what I am looking for in such an enormous tool like JIRA.